In this work, a simple sol–gel method was developed to incorporate Co3O4 into glass waste-derived SiO2 to generate a heterostructured SiO2@Co3O4 nanocomposite. Morphological analysis revealed the presence of tiny Co3O4 grains embedded on to the surface of the spherically shaped SiO2 particles. 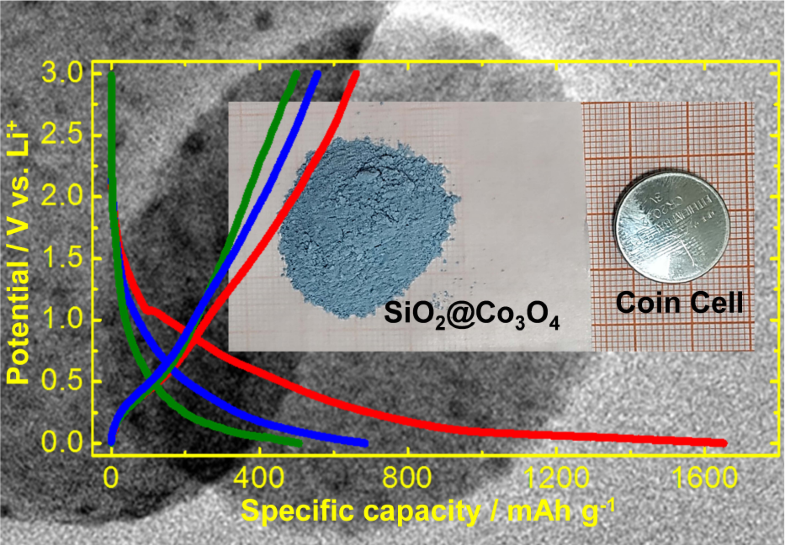 The SiO2@Co3O4 hetrostructure anode exhibited a reversible capacity as high as 684 mA h g−1 at 0.5 C. Even after 50 cycles, the anode material showed a remarkable Coulombic efficiency of 99% with capacity retention as high as 75% (507 mA h g−1). The synergistic contribution resulting from the alloying/conversion mechanisms associated with the SiO2@Co3O4 resulted in enhanced electrochemical performance. 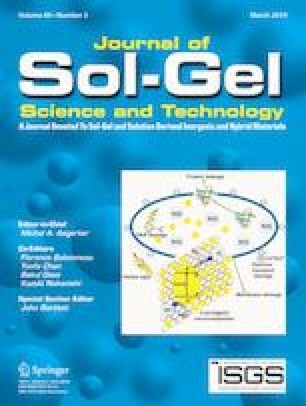 The SiO2@Co3O4 composite was generated by a simple sol–gel method using laboratory glass wastes. The SiO2@Co3O4 anode delivered initial-discharge capacity of 1651 mA h g−1. The synergistic effects of SiO2/Co3O4 resulted in a remarkable Columbic efficiency of almost 100%. AP acknowledges Pondicherry Central University for the University Research Fellowship. AS thanks the Science and Engineering Research Board (SERB), Government of India for the National Post-Doctoral Fellowship (PDF/2016/002815). PE thanks SERB, Government of India, for the research grant (EMR/2016/001305). The authors acknowledge the Central Instrumentation Facility of Pondicherry University.